Nicki Minaj just added “FEFE” with Tekashi69 as a bonus track on her new album Queen. Nicki Minaj has updated her new album Queen on Apple Music and Spotify. 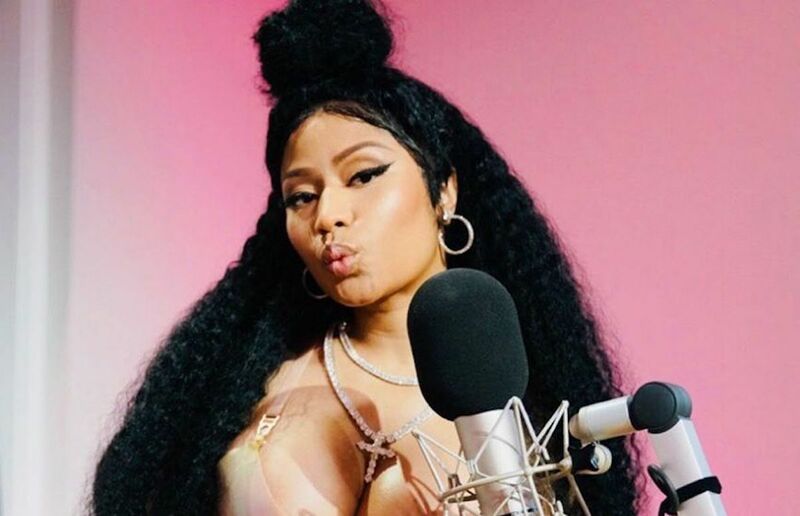 The album initially comes with 19 tracks, and now she has added another one which is her smash new hit with New York rapper Tekashi 6ix9ine. The track originally belonged to Tekashi 6ix9ine, but Nicki’s label has acquired it for her album. This will no doubt give her album an extra push on the charts. It’s become common practice for artists these days to update their album even weeks after it’s release. Kanye West started the practice two years ago when he released his album The Life of Pablo. Ye famously told his fans on Twitter that he would fix the project. Queen is projected to sell anywhere from 145,000 to 200,000 copies in the first week of release, which is lower than expected. Nicki Minaj is currently doing a press run and getting ready to go on tour with Future this summer. “We added ‘FEFE,’ shout-out to my baby Tekashi, I love him, because of streaming, we can update the albums,” Nicki said during an interview with TIDAL’s Elliott Wilson on CRWN on Tuesday night.